COURCHEVEL VILLAGE 1550 Ski Rental - SKI LOCATION Ski Hire : book your ski and snowboard equipment online ! You will have the best prices : up to 40% off on your equipment. 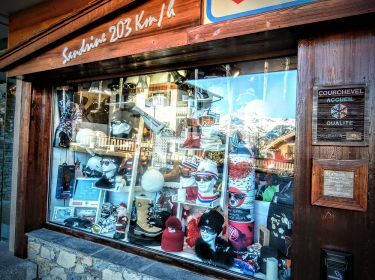 For more than 30 years,a quality ski rental shop, Ski Location Courchevel Village has a lot of ski range , a professional approach and the experience to guide you in your ski equipment choise. Add to that, our passion for skiing and you can’t go wrong. Unique,if you book on our website,you will have dicount,and it will be possible to change your first choise in the shop,with our staff advice. 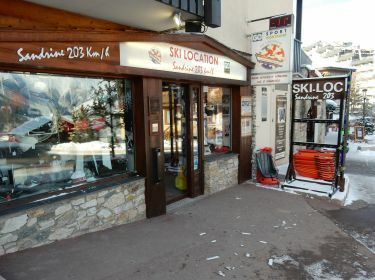 Ski Location : in the center of Courchevel Village, next to the « Grangettes » cable car 1550/1850 and at the buttom of the sledging run. Sandrine et Stéphane MACHET and their staff are advising you. 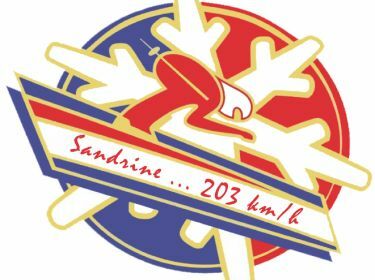 Sandrine : Ski instructor, ex-member of the french ski team, French Champion and World Junior Record owner, higher speed :203 Km/h.